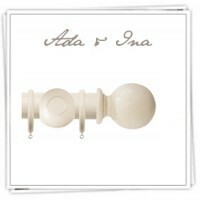 We have carefully selected our collection of Curtain poles that will go well with our curtains. We have simple and quite affordable wooden or metal poles and for example Bradley Collection poles that we think are elegant and perfect for modern interiors. 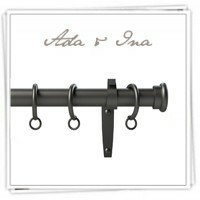 Traditional poles have a dark Waxed finish and the Modern curtain poles have a Brushed Nickel finish. The 480 cm wide Bradley Poles can also be bent by Bradley, with 2 bends, making them suitable for 2 bend bay windows! Please ask us for Bay measuring instructions before you place the order.